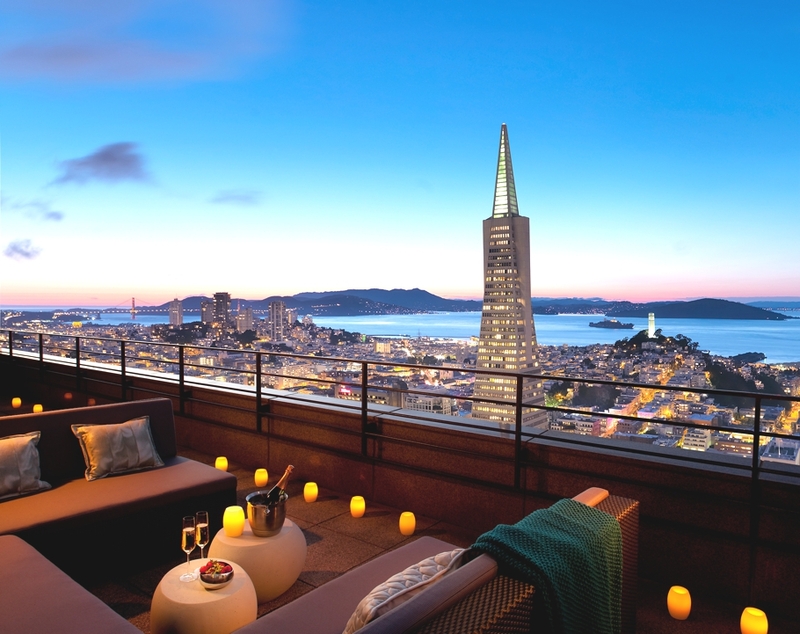 Spending 24 hours in San Francisco’s Mandarin Oriental is one of the most memorable experiences you can have. This 11-floor luxurious hotel and the third tallest building in the city, offers some of the most dramatic panoramic views from each room. But this isn’t everything. Soft colours, exquisite smells and polite staff contribute all to a stay to remember. You will get your first warm welcome at the reception: easy to check-in with kind personnel who will send you to your room with a pleasant smile. Soon after you enter, with only the first glimpse of the city’s blue sky, a tray with complimentary jasmine tea and lady finger cookies will arrive. So, there is no reason to rush. 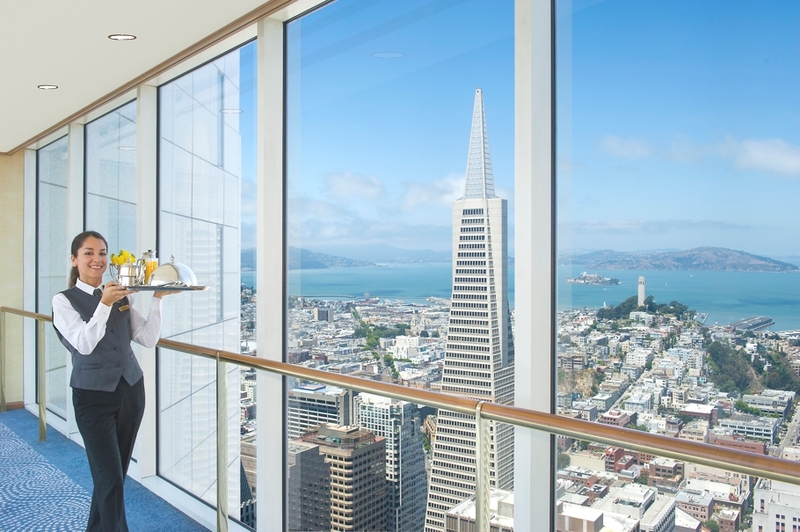 Mandarin Oriental is all about enjoying the simple moment, while sipping aromatic tea staring at San Francisco’s spectacular skyline. 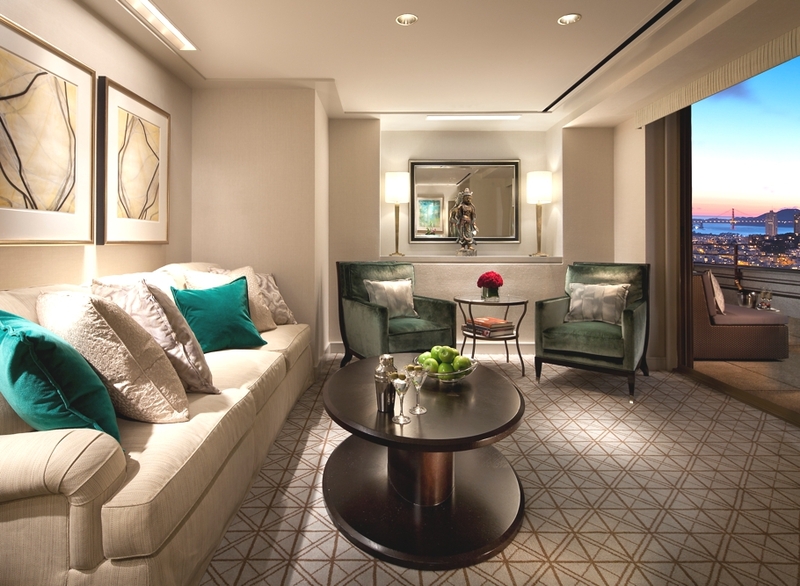 The luxury hotel which recently had a serious makeover has 151 guest rooms and seven stunning suites. 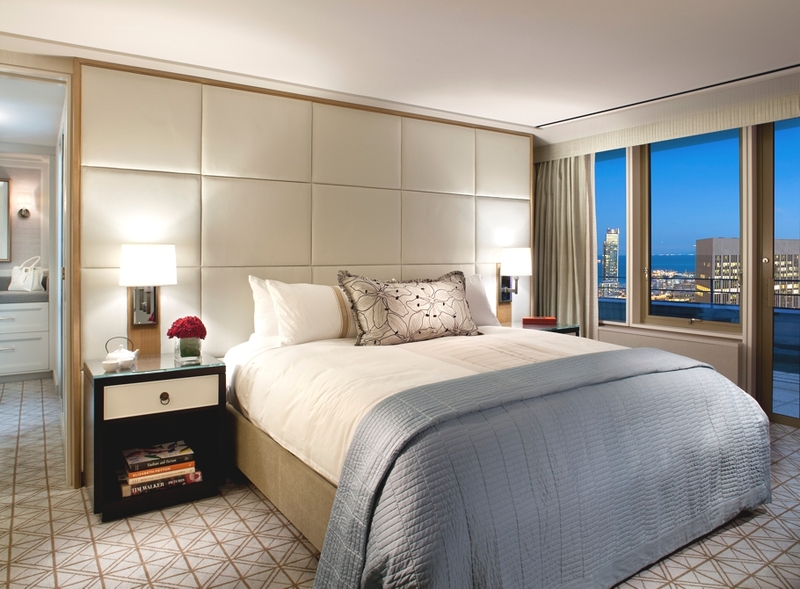 I stayed at the Mandarin Bay Bridge room, overlooking at Oakland Bay Bridge and the San Francisco Bay. The room, one of the hotel’s largest, was bigger than my studio in London. The King Bed, swathed in 300-thread count linen was too comfortable to resist. The elegant wood desk with easy-to-access outlets was perfect to catch up with my electronic correspondence. 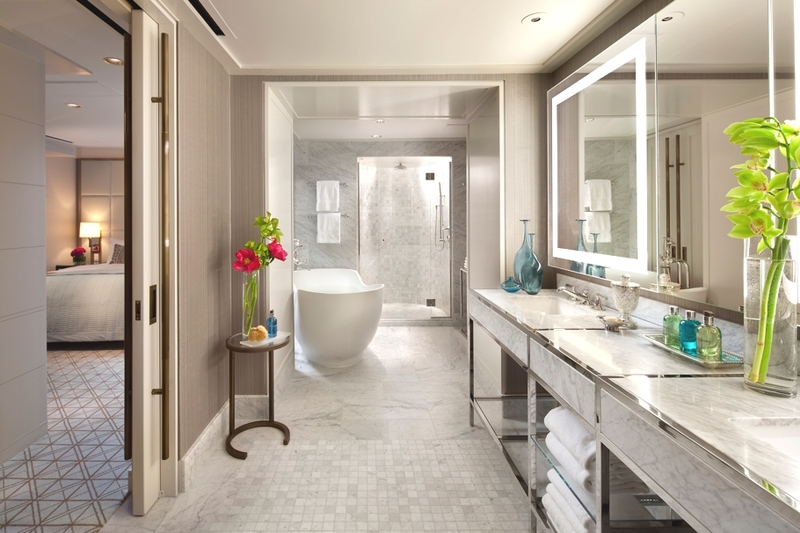 The bathroom, a mini oasis, had an over sized walk-in shower and a deep tub and the same striking views. In the evening, I soaked in the tub witnessing the night scene appearing in front of me with its glittering lights. In the morning, I took a shower under a pink-salmon sky just while the city was slowly waking up. Wrapped in the plush bathrobe, sat in the blue sofa and I glanced at the San Francisco Chronicle News, the free newspaper that arrived in a special MO black tote outside my door. If you want to take relaxation to the next level, get a therapeutic massage or choose one of the holistic treatments at the new, 8,000-square foot spa. Try the Time Ritual, the Oriental Harmony or a Mandarin Oriental Signature Spa treatment. Available are also specialised and beauty facials for both the ladies and the gents, pedicure and manicure and relaxing “cocoon” for the mother to be. 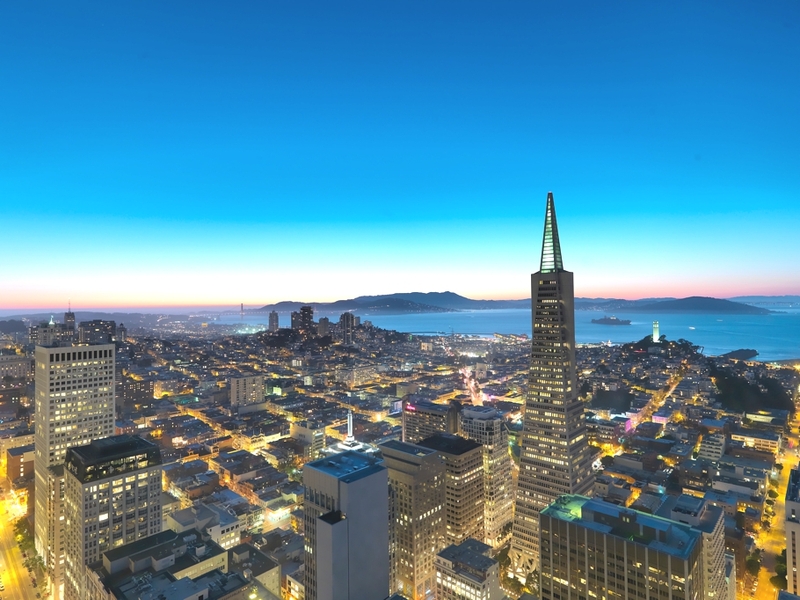 The luxury US hotel is located in the financial district, just a stroll to local and designer stores, theaters and restaurants and the entire downtown buzz. 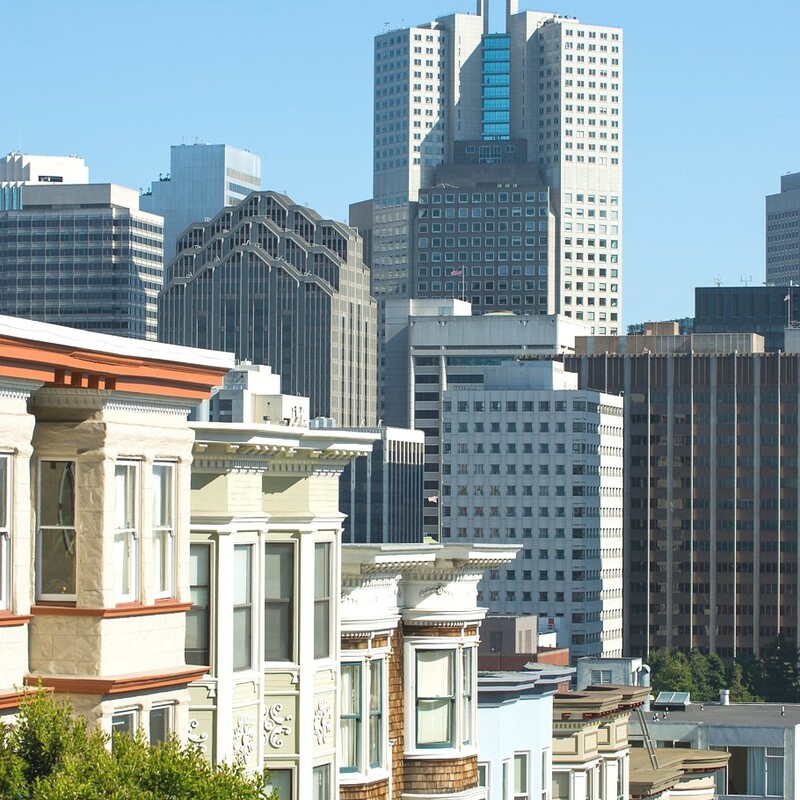 You can even jump on to a cable car for a visit to Nob Hill or on the street car Hill to Fisherman’s Warf. The new signature MO restaurant, the Brasserie S&P serves brasserie-style local cuisine. James Beard awarded executive chef Adam Mali prepared a menu of local cuisine with a modern touch. Some of the dishes include Dungeness Crabcakes, House Cured Beef Bresaola, Grilled Pork Steamed Buns, and Drake’s Bay Oysters. Paired with a good bottle of Napa Valley Cabernet Sauvignon, you are all set for the night. The bar, managed by top sommelier and mixologist Priscilla Young has plenty to boast for. 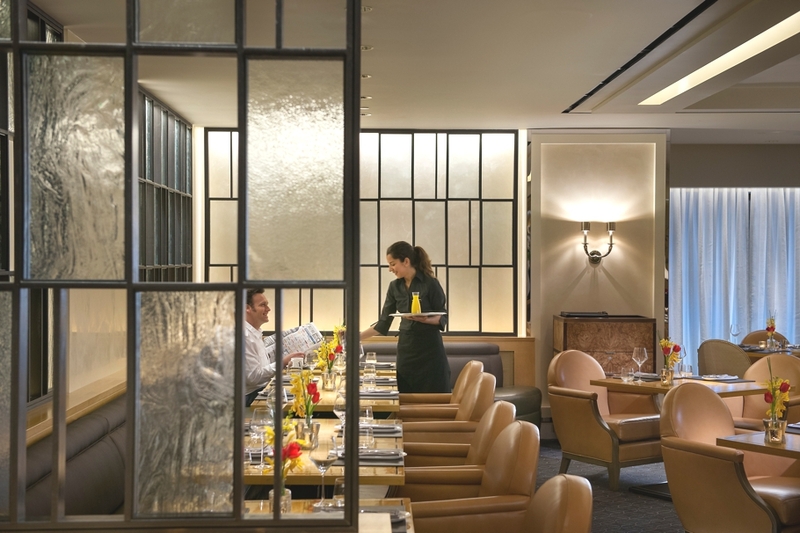 Young creates her own blend of tonic waters to be served with The Bar at Brasserie S&P’s wide variety of gins. I experienced the Bar at the Brasserie with the exclusive Gin and Tonic flight. The gin offered is the locally made St. George with the home made Sensei #1 tonic. Three small, nicely looking glasses arrived with their pairing additions. I started with the Botanivore gin with the apple slice, a light gin and easy to drink, perfect for a nice, soft beginning; I continued with the Terroir gin and the celery knot, a much sweeter taste; and I ended with the strongest of all, the dark rye with the orange peel. Despite its strength, it was perfectly balanced. Olives, popcorn and salty almonds were also there for happy snacking. Once I was done with my flight, the Garden Envy appeared: this perfect blend of celery, cardamon and green apple cold-infused Hendricks gin, Square One cucumber vodka, lime juice and Galliano wasn’t not only impressive by name. Light and refreshing, it was the perfect finish for a busy day. 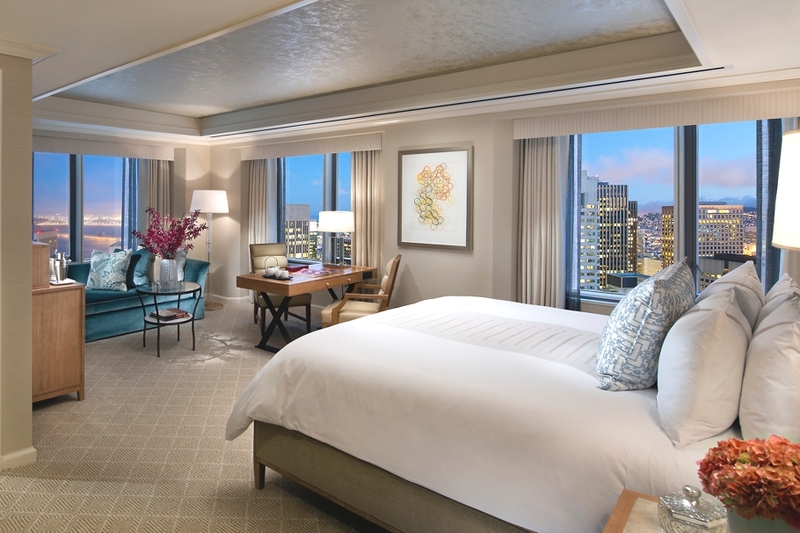 Mandarin Oriental San Francisco is pure luxury but does not overwhelm its guests. 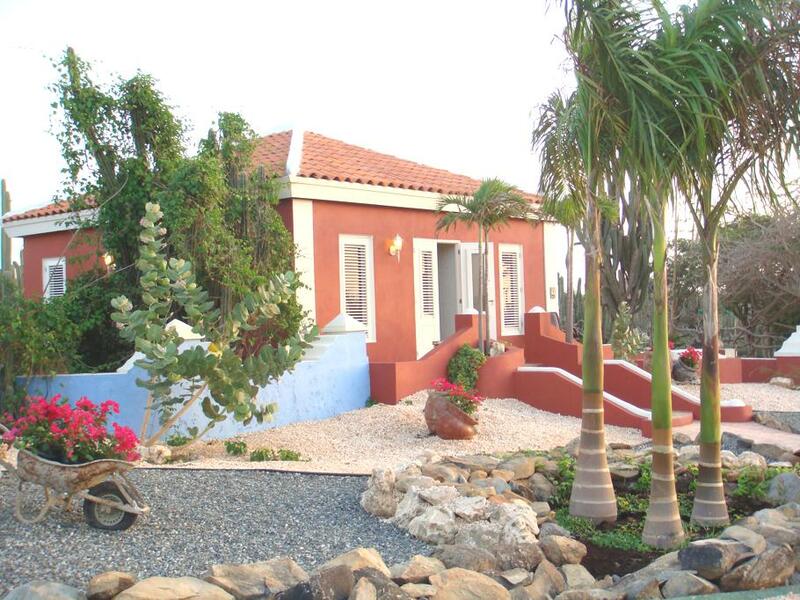 The stunning views will amaze you as well as the dedicated service. But above all, is the simplicity of small things that you will enjoy the most like the pale colours of the dawn when you open your eyes in the morning. Los Angeles-based Gehry Partners, LLP has designed the New York by Gehry. 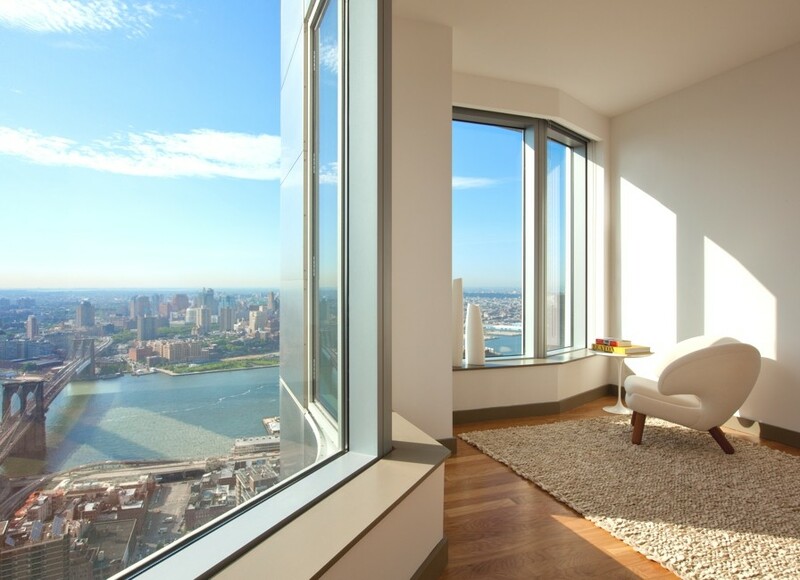 The contemporary residential tower can be found on Eight Spruce Street in Manhattan, New York.